Phuket has something for everyone no matter whether you’re a budget, luxury, family or adventure traveler. Phuket is the largest island in Thailand, also the main hub for island hopping. It is, without a doubt, one of the top destinations not only in Thailand but in the world. Phuket has so much to offer from the beauty of nature to rich culture, island paradises, plenty of adventure activities, and the vibrant nightlife! 1. Enjoy the nightlife of Phuket! Phuket is famous its bustling nightlife. It attracts all kinds of travelers with great nightclubs, fancy rooftop bars, and live bands music. Patong beach is famous for its colorful nightlife. Thanon Bangla in Patong is where all travelers gather for drinking and dancing, making it the perfect place to have an exciting night out. Phuket Town is where you can get a taste of the local life in Phuket. If you are looking for funky yet cheap souvenirs, head to the night markets in Phuket town. If you’re an adventure seeker, Phuket is the right place for you. It will spoil you with so many adventure activity options. White Water Rafting is an epic adventure you can try in Phuket. Rafting through the reckless waters of Thailand is a fun-filled activity. Beautiful scenery awaits you around every corner as you raft through the river! You can book the rafting tour here. Ziplining will give you a chance to be Tarzan for a day and fly from one treetop to another at super-fast speeds. It is such a refreshing experience to feel the breeze of the jungle as you fly in the forest. Book the Hanuman World Zipline here at a discounted price. Snorkeling & Scuba Diving around the islands is something you must try in Phuket. Whether you are a newbie or a veteran diver, you will have a memorable diving experience in Phuket. You can book a day tour for snorkeling & scuba diving here. Helicopter Tour certainly is a unique way to explore Phuket in a bird-eyes view. 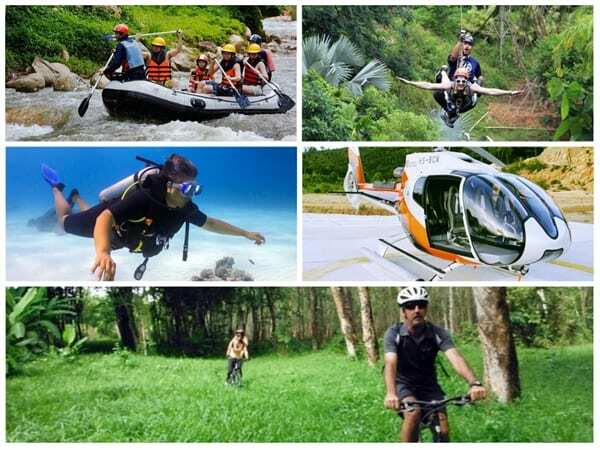 You will see the must-visit places in and around Phuket while listening to interesting commentaries from the pilot. You can book a helicopter tour here. Bike Tour is worth trying if you want to get close to the nature and local life in Phuket. It is a great way to experience the different aspects of Phuket. Book a bike tour here at a discounted price. 3. Go on island hopping! Your Phuket trip won’t be completed without island hopping. There are so many islands with incredible scenery that you shouldn’t miss. James Bond Island is located in Phang Nga Bay which offers jaw-dropping seascape. Canoeing around Phang Nga Bay is a great way to immerse yourself in the beauty of nature. Get 63% off on Phang Nga Bay 1 day tour here. Phi Phi Islands are some of the most visited islands from Phuket. The most popular spot in Phi Phi Islands is Maya Bay, a beautiful white sandy beach surrounded by rocky cliffs. It’s an extraordinary natural wonder you should see in person. However, from now on you will not be able to set foot on the beach of Maya Bay. Due to warmer water temperatures and waves of tourists coming and going, the aquatic ecosystem took a big toll. Thai authorities have announced that Maya Bay will be closed and out of bounds to all visitors indefinitely, until further notice. 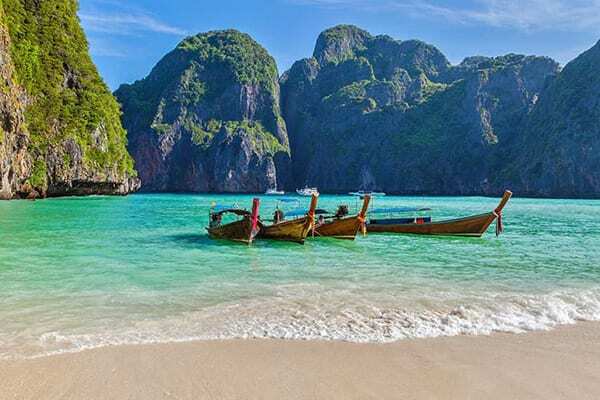 All tours going to Phi Phi Island’s Maya Bay will not be able to enter the Bay, but you will still be able to gaze at the beach from afar, as well as take photographs, swim and snorkel. it’s still mesmerizing to see it from afar, so get 69% off on Phi Phi Islands 1 day tour here. Similan Islands are the hidden gems of the Andaman Sea. Water near Similan Islands is warm and incredibly clear. If you’re looking to dive into Thailand, it’s certainly the spot to put on the top of your bucket list. Get 9% off on Similan Islands 1 day tour here. Surin Islands are very secluded and incredibly stunning islands paradise. It is definitely less busy than the other popular islands so you can surrender yourself to the clear water and quiet beach without getting disturbed. You can book a day tour to Surin Islands here. Coral Island is only 3 km away from Phuket, which makes it a very popular destination for a day trip from Phuket. Here you can be surrounded by multi-colored coral reefs. You can book a day tour to Coral Island here. Racha Island is another peaceful island paradise, which consists of Racha Yai Island & Racha Noi Island. Racha Yai Island has many water activities to offer such as snorkeling and diving. You can even try going a bit fancier with a catamaran from Racha Yai to Racha Noi Island. Get 38% off on Racha Island 1 day tour here. Mai Thon Island is a tiny island located on the southeast coast of Phuket. It’s a popular honeymoon destination with its fine white beaches and crystal waters. You can book a day tour to Mai Thon Island here. 4. Watch fantastic Phuket’s shows! Phuket is also well-known for its spectacular entertainment. There are 3 most popular shows in Phuket of all time. Phuket FantaSea is not only a show but a family-friendly theme park packed with a variety of activities and entertainment. Its show “Fantasy of a Kingdom” depicts traditional Thai culture and history in unique ways. Get 25% off on Phuket FantaSea here. Siam Niramit Phuket is a world-class Thai cultural performance. It also features Thai history and culture with over 100 performers, stunning costumes, and ravishing set design. Get 30% off on Siam Niramit Phuket here. Phuket Simon Cabaret is the most famous ladyboy cabaret show in Phuket. Its venue is located in Patong Beach, which makes it easier to access for a fun night out. Get 39% off on Phuket Simon Cabaret here. 5. Visit extraordinary attractions in Phuket! Phuket is home to a range of authentic yet extraordinary attractions, which makes this city one of the best cities to travel. Check out some of the best attractions we selected in Phuket! Elephant Sanctuary is a sustainable eco-tourism project. Visit here if you are an ethical traveler who feels uncomfortable about how elephants are treated in the Thai travel industry. Here you can touch, feed and bathe the adorable elephants living happily in their natural habitat. You can book a tour to Elephant Sanctuary at 6% off here. Dolphin Bay Phuket is the only dolphinarium in Phuket presents a wonderful stage by their dolphins and seals. They have multiple showtimes throughout the day so it will be easy to suit your schedule. You can buy 25% off ticket for Dolphin Bay Phuket here. Phuket Thai Cookery School will teach you how to make your own authentic Thai dishes. If you are interested in the authentic tastes of Thailand, enroll in their 1-day Thai cooking class. You can book a cooking class at 7% off here. Bangla Boxing Stadium is a home to authentic Muay Thai matches in Phuket. It is one of the trendiest Muay Thai arenas in Phuket’s boxing scene. You can buy 26% off ticket for Bangla Boxing Stadium here. The Upside Down House is designed just like its name, with every interior design turned upside down. It is a cool place to go to take fun pictures. You can buy the ticket online for Upside Down House here. 6. Enjoy the extreme Muay Thai boxing match! Muay Thai, aka Thai boxing, is one of the top internationally known fighting sports. It is the national sport of Thailand and Thai people are very proud of their fighting art. Phuket is one of the top destinations for anyone interested in Muay Thai. Many travelers come to the island to watch some great fights during their stay. There are Muay Thai events in Phuket nearly every day of the week so you will have tons of opportunities to see real fighting events. Patong Boxing Stadium is located on Sainamyen Road near Patong beach. It is one of the most popular venues for Muay Thai in Phuket and the fights are always intense and exciting. Fights are on every Monday, Thursday, Saturday at 9pm. Bangla Boxing Stadium is also located near Patong Beach. This is one of the oldest and the most famous stadiums in Phuket. Fights are on every Wednesday, Friday, Sunday at 9pm. 7. Stand at the best viewpoints in Phuket! If you want to capture the best view in Phuket, head to these viewpoints! Promthep Cape is the southernmost hill in Phuket, and it is one of the island’s most photographed and perhaps best-known locations for sunset. Every evening, large tour buses and cars come here to watch the sunset. Thus, if you wish to catch the breathtaking sunset in Promthep Cape, make sure to arrive 1 hour before sunset considering the traffic. Khao Rang Hill is also one of Phuket’s most famous viewpoints, and it is located to the northwest of the Phuket Town center. It offers the panoramic views of the Phuket Town as well as the neighboring islands. This viewpoint has a terrace zone and various restaurants/cafes for you to enjoy the breeze. 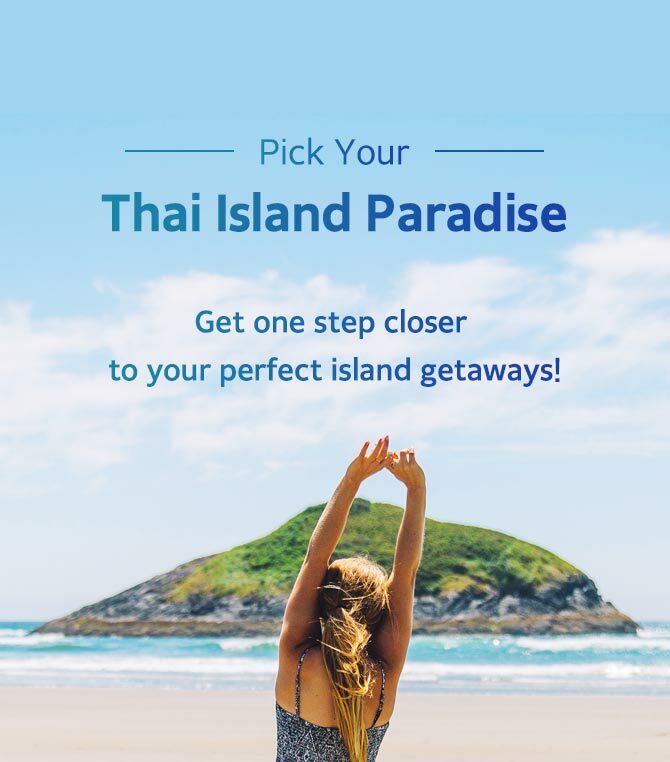 For more travel tips and ideas for your next trip to Phuket, make sure you visit Trazy.com, Asia’s #1 Travel Shop!